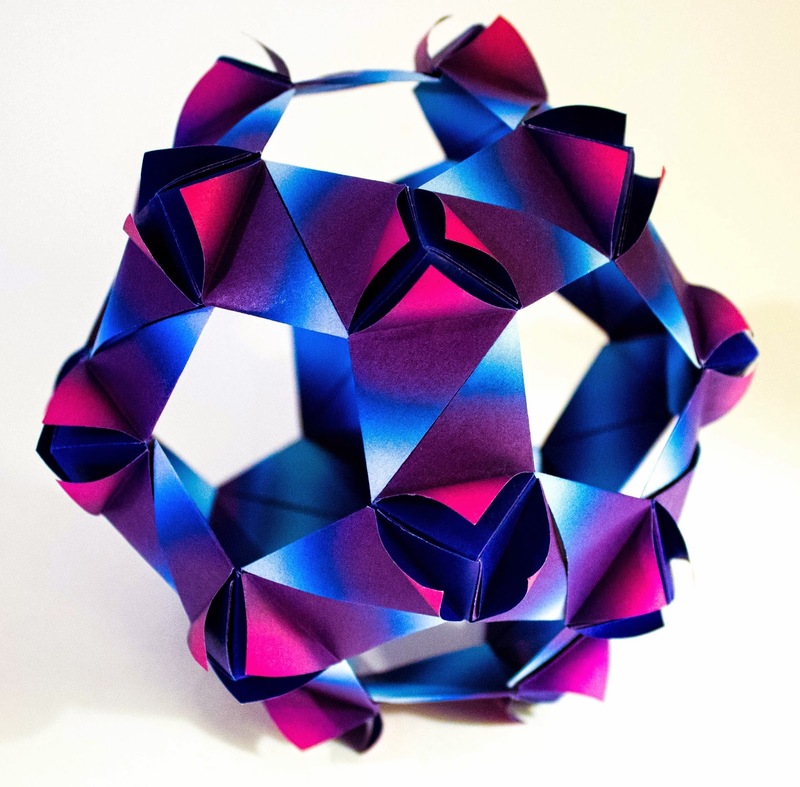 This model is diagrammed in Ekaterina Lukasheva's book Kusudama Origami. It is 30 units. 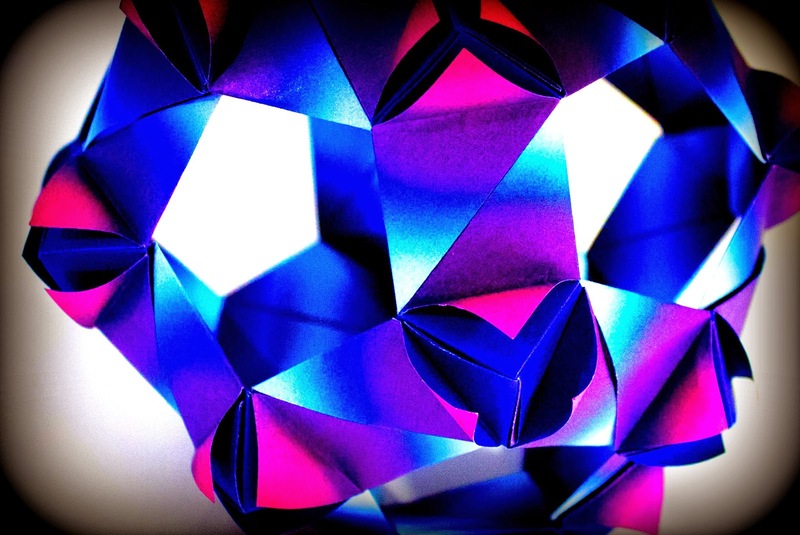 Each unit is folded from 3 inch two-sided Harmony origami paper purchased from Kim's Crane website. The model was fast and easy.